Liz is the lead Director for Higher Education at TBG and we are a ‘Preferred Supplier’ of Teesside University. We have experience of working with Deans, Assistant Deans, Directors, Section Heads, Programme Leads and Subject Leads – providing coaching, bespoke interventions, team development and workshops. “We have worked very successfully with TBG for over 5 years on both our Senior Management development and Academic Leadership programmes. Liz provides 1:1 coaching with staff across a variety of disciplines and levels of responsibility. The feedback we get from our staff is always excellent. Liz has a clear understanding of the current issues facing HE and an engaging style that is appropriate for our staff groups. Her workshops are interactive and supported by great background reading and resources. Liz hasalways been responsive to our needs and flexible in her style, which comes from her experience in both the workplace, and as a facilitator. We are very aware that Higher Education Institutions (HEIs) are feeling pressures placed on them by the economic downturn, policy changes, society’s demands and national and global competition. HEIs are, and will continue to be, operating in an increasingly challenging, competitive and complex climate for several years to come. Such times demand creative ideas and responses from academic staff – particularly those in the emerging management and leadership roles. Establish the criteria which enables us to define effectiveness and support the school to move towards a faster and more aligned cultural change which successfully delivers the strategy. The development programme, for academic staff from six schools across the university, develops leadership effectiveness in support of leadership role challenges. And consistent positive evaluation has resulted in the programme’s continuation. 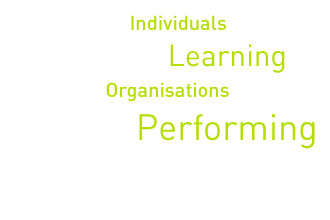 For further information regarding Management Research Group’s ‘Leadership Effectiveness Analysis’ see ‘Resources’.